Western Gold Insurance hereby authorizes any person to access this Website for informational purposes only. Western Gold Insurance reserves the right to terminate access to this Website at any time without notice. The data, information and material included in this Website is copyrighted by Western Gold Insurance. All rights are reserved under the copyright laws of the United States of America. No part of this Website can be redistributed, copied or reproduced without the prior written consent of Western Gold Insurance. The user of this Website assumes all responsibility and risk for the use of this Website and the Internet generally. Western Gold Insurance, and its affiliated companies disclaim all warranties, representations or endorsements, expressed or implied, with regard to the data, information and material included in, or accessible from, this Website or the Internet, including, but not limited to, all implied warranties of merchant ability, fitness for a particular purpose or non infringement. Western Gold Insurance and its affiliated companies have the right to discontinue, change or update any data, information or material included in the Website without prior notice, and they do not assume any legal liability or responsibility for the accuracy, completeness or usefulness of any data, information or material included in, or accessible from, this Website. No advice or information given by Western Gold Insurance or its affiliated companies shall create any warranty. Neither Western Gold Insurance nor its affiliated companies warrants that the data, information and material included in the Website or on the Internet will be uninterruptible or error free or that any data, information, software or other material accessible from this Website is free of viruses or other harmful components. Several of our pages describe various insurance products. The availability of a specific product may differ from state to state. The product descriptions are general in nature and the insurance coverages are subject to the specific terms of the actual policies issued. If you are interested in the terms and conditions of a specific product, please contact us for additional information. In no event shall Western Gold Insurance or its affiliated companies be liable for any compensatory, special, direct, incidental, indirect, or consequential damages, exemplary damages or any damages whatsoever resulting from loss of use, data, information or profits arising out of or in connection with the use or performance of the data, information or material included in this Website or on the Internet generally or on any other basis. 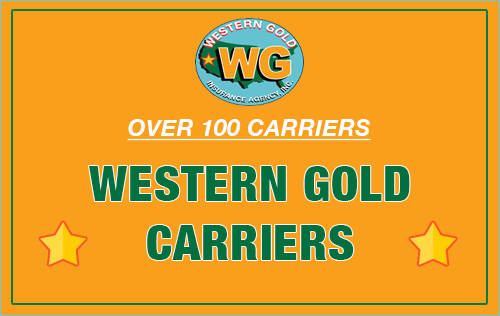 Although this site includes links providing direct access to other Internet sites, Western Gold Insurance and its affiliated companies take no responsibility for the content or information contained on those other sites, and does not exert any editorial or other control over those other sites. 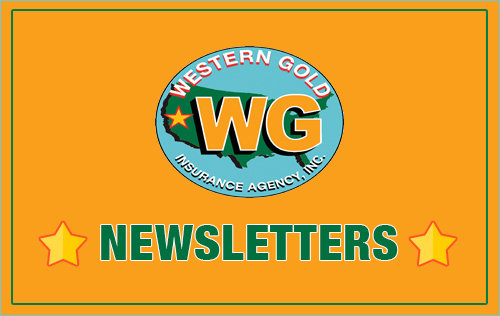 Western Gold Insurance will not be deemed to have accepted any electronic communication unless Western Gold Insurance provides the sender of the electronic communication with an acknowledgment verifying receipt of the communication. 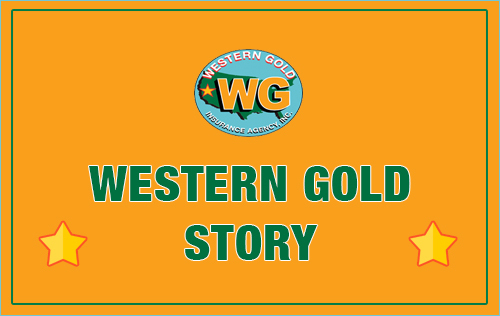 If Western Gold Insurance sends any electronic communication, Western Gold Insurance will assume the communication was received intact by the intended recipient. The recipient of such message must notify Western Gold Insurance if the transmission was not received or was not received in a readable format. Despite the security measures taken by Western Gold Insurance, there is an inherent risk in disclosing personal information over the Internet. Anyone electronically transmitting personal information assumes the risk that such information may be disclosed or intercepted by unintended third parties and Western Gold Insurance disclaims all liability resulting from such interception or disclosure. Anyone who wishes to apply for an insurance quote who is concerned about maintaining the security of their personal information may mail the information to Western Gold Insurance. We will ask you to provide your personal information to us when you enroll for coverage and when you purchase an insurance policy from us. We will also ask you to provide your personal information to us when you send e-mail to us from this Website or when you complete a web form requesting personal identifiable information. 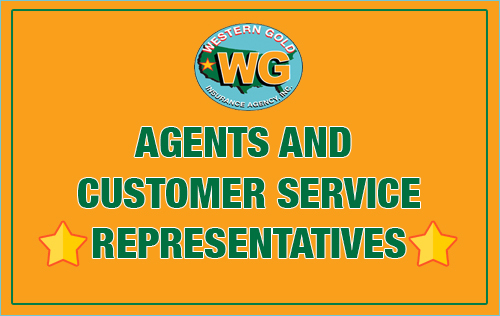 When you enroll for an insurance policy at Western Gold Insurance, we will ask you to provide your name, home address, mailing address, telephone number and e-mail address. This information will be provided to the insurance company when you purchase an insurance policy so they can establish you as a policyholder. 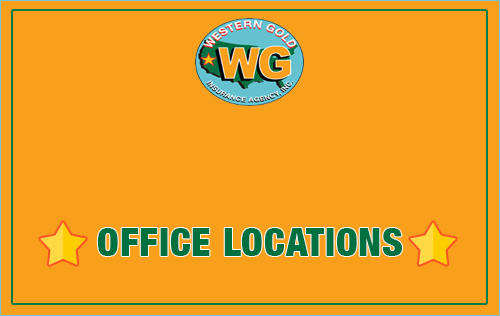 We will maintain a record of your information at the offices of Western Gold Insurance, so we can provide you with policyholder service. 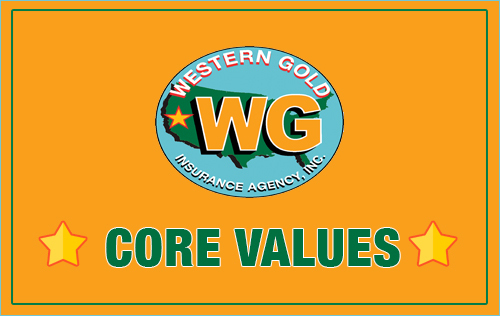 The employees of Western Gold Insurance are each required to sign and acknowledge a Confidentiality and Nondisclosure Agreement. Each employee has been instructed on maintaining the privacy of each customer and the importance of protecting the customer’s personal information. When you purchase an insurance policy from Western Gold Insurance, you will pay the premiums with your credit card or personal check. If you use your credit card to pay the premium, your credit card information is deleted from our records after your purchase has been authorized. A transaction number will be provided to you on your Binder of Insurance. You may use this transaction number as a reference to the credit card purchase. We do not keep a record of your credit card information. If you pay the premium using your personal check, we will keep a copy of your check in your file. This Website may contain links to third-party Websites that are not controlled by Western Gold Insurance. These third-party links are made available to you as a convenience and you agree to use these links at your own risk. The Western Gold Insurance logo, and other marks, including the names of various products and services described within and offered by companies represented by Western Gold Insurance and its subsidiaries are service marks of these companies. Permission to use, copy and distribute these materials without fee is hereby granted, for non-commercial purposes, provided that the material is unaltered and Western Gold Insurance copyright notice appears in all copies.